Since his victory speech in November 2016, President Trump has touted plans to rebuild American infrastructure. More than two years later, nothing has materialized, though talk in the Capitol swirls around the opportunity for a bipartisan infrastructure bill in 2019. All the while, the national gas tax has remained at the level set in 1993, fuel efficiency has increased, some vehicles have gone hybrid or electric and freight truck weight has increased. During a March 5 briefing on Capitol Hill, county officials and members of Congress outlined some of the needs local governments have for a new infrastructure bill and the ways to generate support for new financing. Rep. Earl Blumenauer (D-Ore.), a longtime supporter of a gas tax increase, would like to see each congressional district play host to informal discussions about the need to invest in infrastructure and likely find a new way to raise revenue for the highway trust fund to pay for projects, including a possible user fee for electrical vehicles or vehicle miles traveled fee. House Transportation Committee Chairman Peter DeFazio (D-Ore.) and ranking member Sam Graves (R-Mo.) testified March 6 in front of the House Ways and Means Committee to outline funding options. 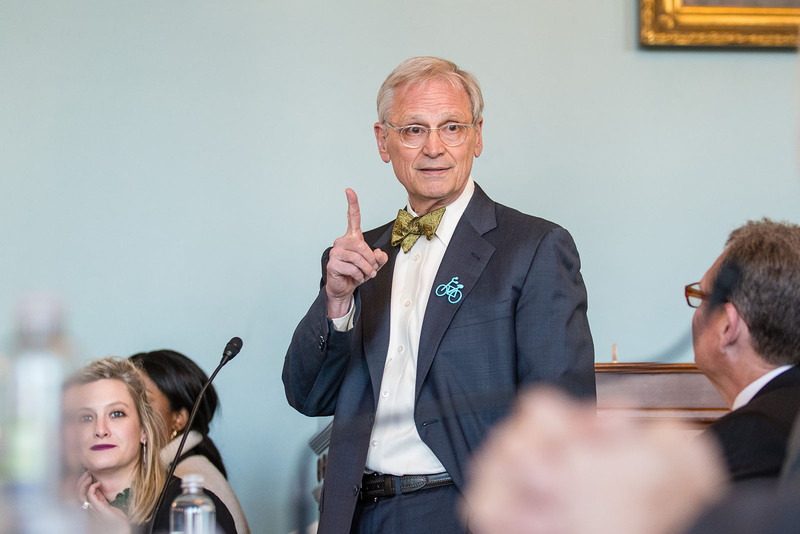 “Where you can listen to local residents, chambers of commerce, local truckers, local unions and local officials and what you want Congress to do,” Blumenauer said, noting that 35 states had passed gas tax increases in recent years to deal with their own declining coffers. Blumenauer served as a Multnomah County, Ore. commissioner for eight years. “Do not allow someone to tell you they support infrastructure unless they’re prepared to tell you what they will do to finance it,” Blumenauer said. Rep. Donald Payne (D-N.J), a former Essex County, N.J. freeholder, agreed. “You’re fixing the bridge, you’re filling the pothole, so it’s our obligation to support you in getting that done,” he said. The lack of a long-term highway bill has frustrated county governments. “It’s very hard to plan multiple years with a continuing resolution,” said Gary Moore, NACo second vice president, Boone County, Ky. judge executive and former chairman of NACo’s transportation steering committee. Rep. Hank Johnson (D-Ga.), who served eight years as a DeKalb County commissioner, criticized the Trump administration and GOP-held Congress for passing tax reform before addressing infrastructure needs. “It was a classic bait and switch,” he said. He was optimistic about DeFazio and Graves’s testimony as a first step toward progress on a new transportation bill. “We hope the president recognizes this bipartisan cooperation and signs legislation that will help our county and state governments address their infrastructure needs in a meaningful way,” he said.